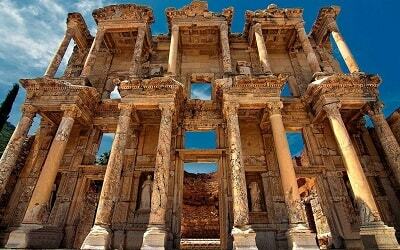 As there are many ways to explore the region of Cappadocia and all the places of interest there, there is one particular way that can offer you excitement and sightseeing all in one. Try an alternative safari activity and ride a camel through Cappadocia’s stunning valleys and make your experience and your holidays unforgettable. 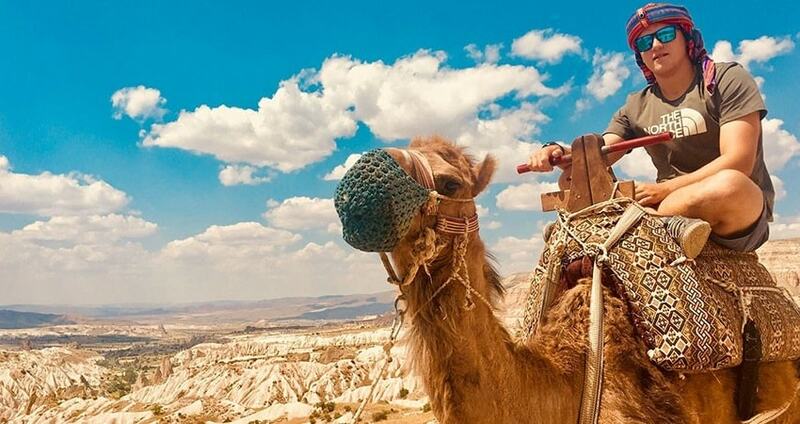 Cappadocia Camel Safari will offer you spectacular views and will be a long lasting memory. 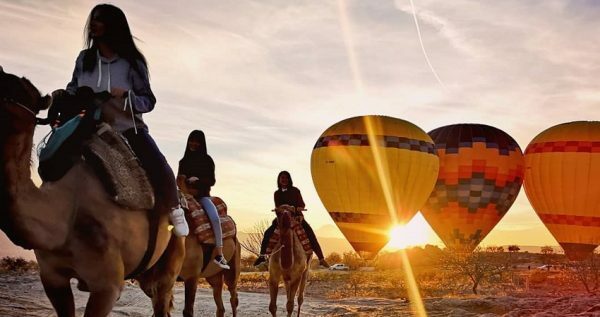 You can enjoy the Camel Safari during sunrise, daytime or sunset. Therefore, depending on your scheduled time, a vehicle will be waiting to pick you up from your hotel. The car will be driving towards the starting point of your Camel Safari experience. Once you arrive there, the Camel Safari instructors will let you know how to ride and control the camel properly. Therefore, if this is your first Camel Safari there is nothing to worry about. The animals are trained to follow the particular paths and they are extremely friendly and safe for an activity like this. The instructors will also let you know how to approach the camel. Usually, it is suggested that you treat the camel as your pet and that you show some affection towards the animal. 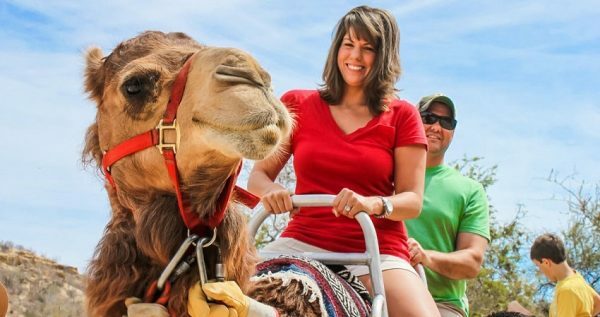 By doing this, the camel creates a bond with you before the ride and becomes friendly and easy to ride. 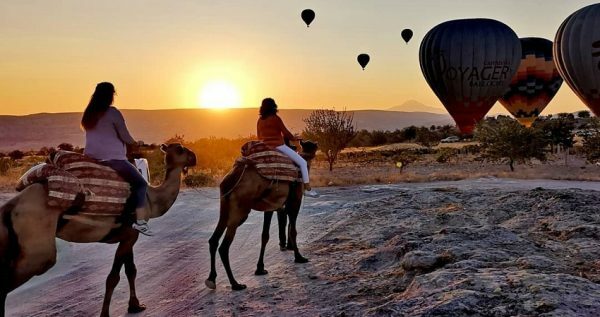 Cappadocia Camel Safari starts by the moment you are all set. 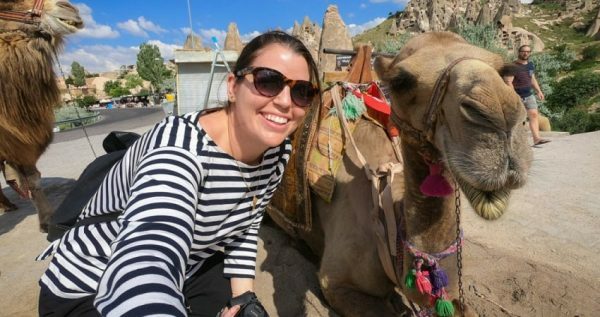 During your experience you are going to enjoy riding the camel through outstanding landscapes. Make sure that you will bring your camera to snap some amazing photos and videos. As you will be riding you will have the chance to observe the sunrise or the sunset, depending on the time of your excursion. 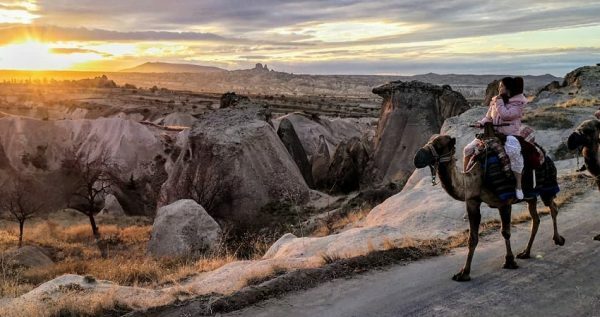 The views will be magical as the camel will be passing over the Cappadocia’s most famous valleys. Observe and admire peculiar rock formations that reflect the colours of the sun and create an outstanding setting. Fairy chimneys, ancient villages with carved houses into cliffs and many other locations will impress you during your Camel Safari. During the 1-hour ride there are photo stops where you can take some panoramic and breath taking photos. Once the excursion is done, a vehicle will be waiting to drive you back to your hotel. Full of memories from this unique experience, you will arrive at your hotel to continue sightseeing or to relax. Cappadocia Camel Safari will be a long lasting memory from your holidays. Cappadocia Horse Safari is also a popular tour in this destination. 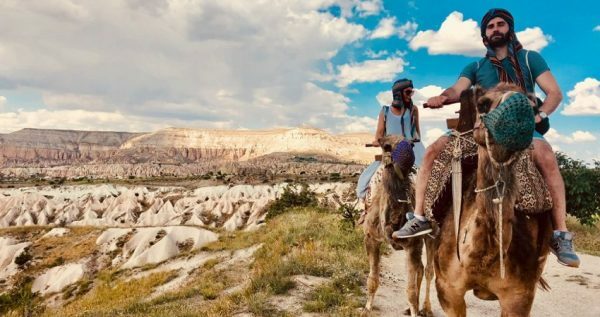 Camel Safari is probably the most exciting and unique way to explore Cappadocia’s points of interest. Ride a came and observe the infamous Cappadocia’s valleys. 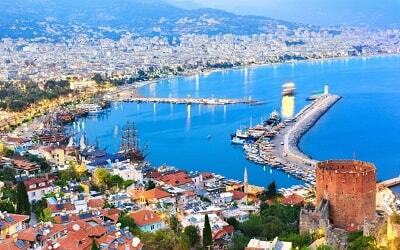 Magnificent views, panoramic photo points and many more are included in this activity. 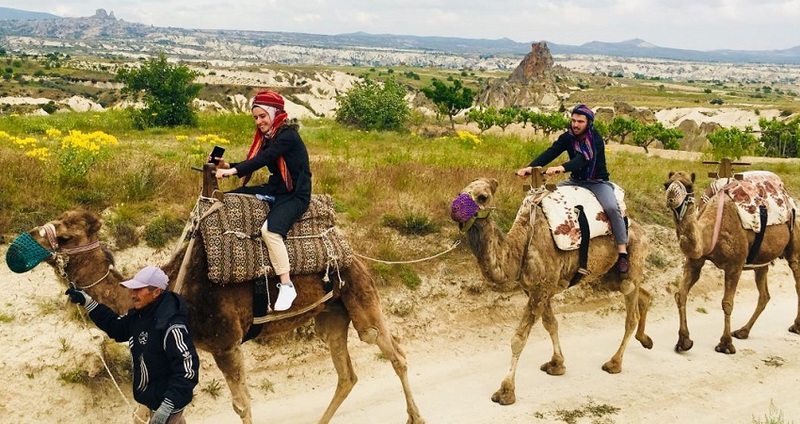 Observe the landscape and learn how to ride a camel with a notable Cappadocia Camel Safari Tour. Depending to your scheduled time of your experience, a vehicle will pick you up from your hotel. 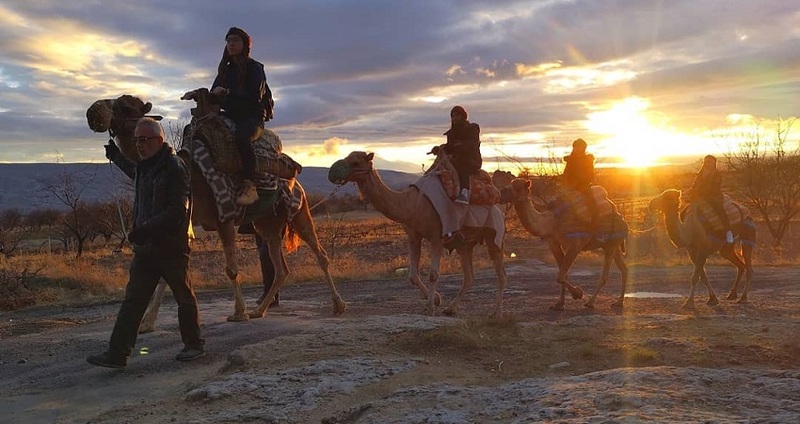 This one hour Camel Safari can be done during sunrise, daytime or sunset. The vehicle will drive you towards the camel ranch, where the Safari experience starts. 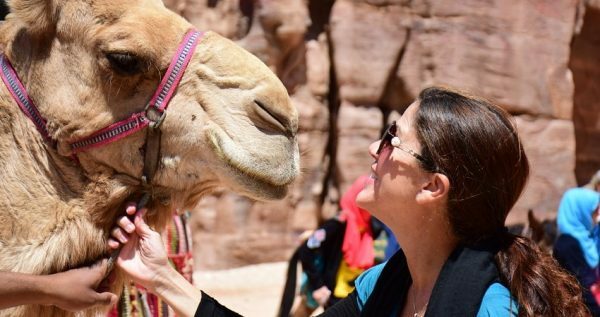 During your arrival at the ranch, you will meet the instructors who will let you know important facts about your camel riding experience. More precisely, the instructors will show you how to ride and how to control the camel. In addition they will let you know about safety procedures and equipment. How to approach the camel will also be explained as you need to be friendly towards the animal. In general, it is suggested to pet the camels and show some affection towards them in order to create a bond with them. 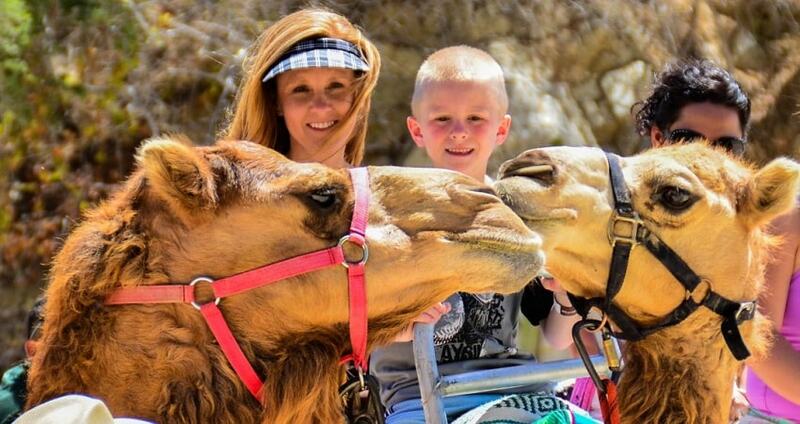 The camels that you are going to ride are friendly, safe and properly trained to follow these paths. Therefore, there is nothing to worry about. The activity is also children friendly. The Camel Safari starts by the moment you are ready. 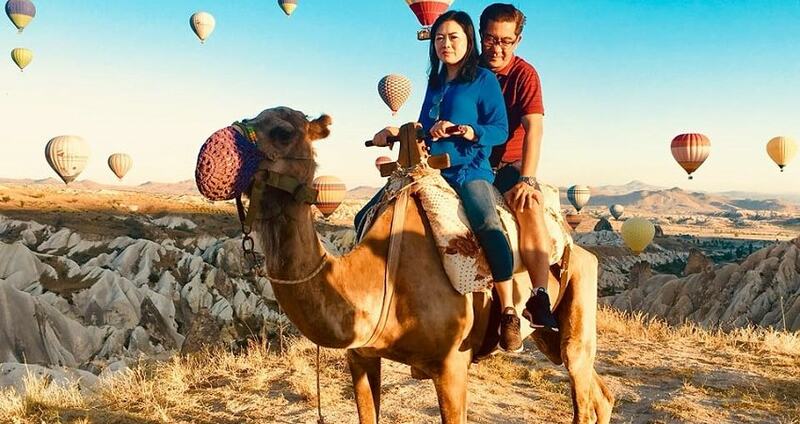 During your experience you are going to enjoy riding the camel through outstanding landscapes of Cappadocia. 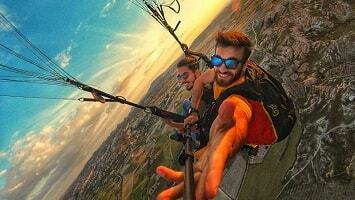 Make sure that you will bring your camera to snap some amazing photos and videos. As you will be riding you will have the chance to observe the sunrise or the sunset, depending on the time of your excursion. When this one hour Camel Safari ends, a vehicle will be waiting there to drive you back to your hotel. 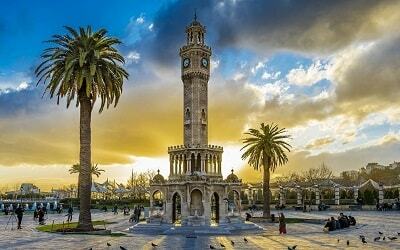 Full of memories from this unique experience, you will arrive at your hotel to continue sightseeing or to relax. This alternative camel riding safari will be a long lasting memory from your holidays. We had the sunset ride and it was the best part of our holiday in Turkey. Truly nice and friendly staff and great service. Our guide took all our pictures and send them to us right after the tour ended. 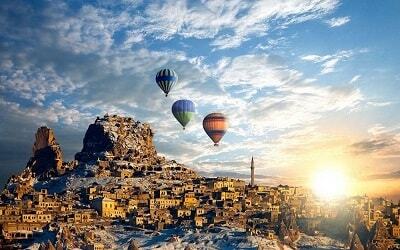 The landscape of Cappadocia is amazing, we had professional-grade pictures. These are no such tour, I am sure you will love it.